coos & ahhs: Ahhs: The Meals on the Bus Go Round & Round! Ahhs: The Meals on the Bus Go Round & Round! 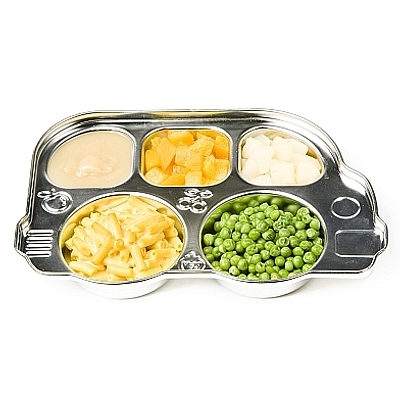 make mealtime a joyride with this fun little platter by din din. the clever stainless construction means it's safe for kids and easy to clean.